On a recent visit to the Steamworks Brew Pub in Downtown Vancouver, the Sip Advisor was finally able to get his hands on this long sought after beverage. All I can say is that the wait was worth it and victory has never tasted so sweet (literally!). The Salty Caramel Ale blends elements of an Amber Ale and a Scotch Ale with a nice and not overwhelming caramel sweetness, to boot. The 5.3% ABV, 16 IBUs drink also had a subtle salty bite to it, as one would expect, given the beer’s moniker. This is one of the few products Steamworks has that isn’t available in some form of packaging. To my knowledge, the brew can only be found at the company’s restaurant, appearing at various times throughout the year. My harrowing tale pursuing this beer began with a Twitter post back in February. When I arrived at the brew pub, I was told the ale was not on tap, as advertised. Months later, it was listed on their ‘coming soon’ menu, but not yet available. Persistence pays off! While the Sip Advisor hasn’t posted a Sip Trips article for a couple weeks, that doesn’t mean I haven’t kept up my typical level of social activities. I was just saving up a few outings and before I knew it, there was almost too much to report on. Dressed as my own inner child – seriously, I just couldn’t get inspired to come up with a costume for this Halloween season, so this was a last minute idea that actually worked out fairly well – we attended a friend’s fundraiser at Rusty’s Neighbourhood Pub in Cloverdale. The burger and beer deal didn’t leave much to the imagination, especially as far as beverages went, but through a technicality, we were able to upsize our burgers and I really enjoyed my Doc Holliday variation. Much of their menu looked really good, so next time we’re in the area, we’ll have to drop in again. The next day, we intended to check out Abbotsford’s Craft Beer Corn Maze, before a storm decimated the attraction. Instead, we used the occasion of being out in the Fraser Valley to visit Old Abbey Ales. Here, the Sip Alliance each constructed their own flight of beer and with so many options available at the tasting room, no two boards were the same. I really like that Old Abbey Ales has the customer fill out there selections, rather than recite them. This gives you more time to round out a perfect cross section of brews and decreases the chances your order will get mixed up. A couple days later, as Mrs. Sip prepared for her ongoing trip to India, we visited Patron Tacos & Cantina for a meal. We typically order their Queso Fundido dish and then use the cheese and sauces it comes with on our tacos. This makes for quite the feast and Mrs. Sip and I both left with overly full tummies. That weekend, after recently receiving a flyer advertising Milestones new Epic Eats menu, Mrs. Sip and I were looking forward to testing out some of the new additions. While Mrs. Sip ordered the Jiffy Pop Popcorn Shrimp, I had my eyes – and stomach – set on the Hottest Club in Town. This Sriracha chicken and waffles club sandwich was absolutely fantastic and I look forward to crossing paths with it again shortly. We also noted that the restaurant now has a Beers & Bros deal (a pitcher of beer and four appies for $40) to accompany their Girls’ Night Out Bellini promotion. To celebrate Halloween, we decided to check out the Day of the Dead-themed Stanley Park Train. Following that, Mrs. Sip, Sis-in-Law Sip and myself made our way back downtown and popped into Steamworks Brewpub for a bite and beverage. With a $15 pitcher deal on Mondays, we settled on their Pumpkin Ale, while splitting their massive House Baked Pretzel. This was probably the best way to wrap up Oktoberfest festivities, through the month. Come Friday, I was on the road again. Mrs. Sip and I are members of the Langley-based Backyard Vineyards and as such, are invited to their semi-annual customer appreciation nights. Mrs. Sip always seems to be on vacation when they occur, but that doesn’t stop the Sip Advisor from enjoying. With great live music filing the air, guests were treated to a fantastic meal and other goodies. Prior to arriving at the winery, we had made great time from Vancouver, so decided to pop into Trading Post Brewing for a beer. I liked my serving of their Dear James S.M.A.S.H. Saison and it was a good start to the evening’s entertainment. The weekend was wrapped up with a visit to White Spot, where I was able to try a pint of Granville Island Harvest Ale. The beer, exclusively brewed for the restaurant chain, was a solid accompaniment to one of my all-time favourites, the Legendary Burger. You are not a true British Columbian if you have never tried this entrée. Well, I ended up with much more to discuss than I first thought. With Mrs. Sip away in India for the next two weeks, it kind of feels like the calm before the Christmas season storm. I better enjoy my “downtime” while it lasts! Today is B.C. Day in my neck of the woods. It is a day to celebrate our fine province with outdoor activities, wonderful food and drink, and great family and friends. 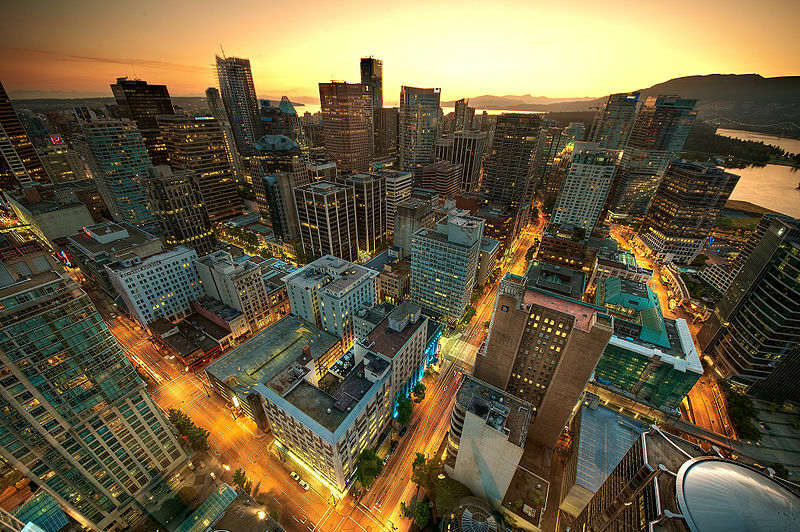 With that in mind, here are some of the top attractions in British Columbia. Come by and visit sometime, ya hear! 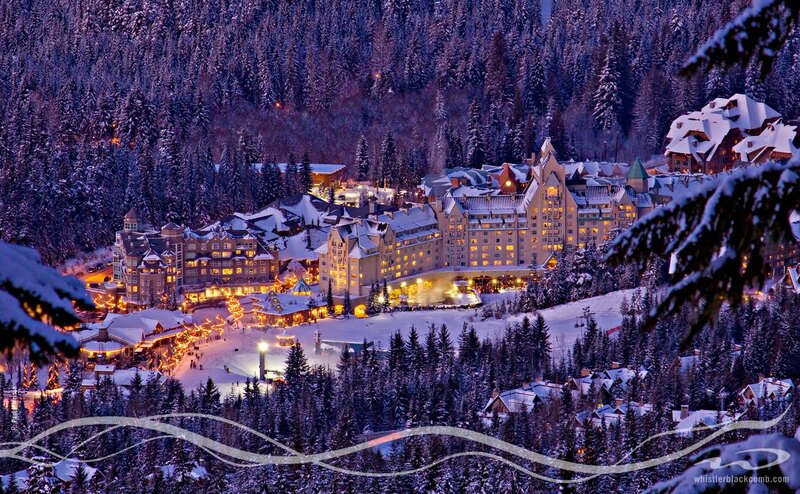 Travelling along the Sea-to-Sky Highway, you will float up through the clouds to the mountain resort of Whistler, which is a top destination throughout the year. In the winter, it is a haven for skiers and snowboarders, who can take to the slopes and enjoy some of the finest white powder this side of Colombia! When summer rolls around, the village becomes a wonderful place for a scenic hike or bike ride, quickly followed by a cold pint amongst some of the finest nature you’ll ever find. For the outdoor adventurer, the Grouse Grind is something that has to be done to see how you fare against travelers from around the world. The unofficial record stands at 23 minutes and 48 seconds, but most hikers will take about 90 to 120 minutes to complete the trek. You won’t get great views on the Grind, until you reach the top of Grouse Mountain, but it’s the challenge of the trail that keeps people coming back. At least there’s beer, food, and gondolas (for your return trip) at the top as your reward. Home to the province’s most famous and desired citizen, yours truly (Mrs. Sip is a close second, however), my suggestion is to ride the hop-on, hop-off bus tour, which visits all the key areas of the core, including Gas Town, Granville Island, the West End, Chinatown, and everything in between. There are also some amazing dining options in the city, including Joe Fortes for seafood; Gotham Steakhouse for, you guessed it, steak; and Tojo’s for sushi. While enjoying some of the province’s most gorgeous views, you can also visit a countless number of wineries and indulge in tastings that will have you wobbling through one vineyard after another. Over 60 grape varieties are grown in the Okanagan Valley, including a number of German styles, such as Riesling and Gewürztraminer. The region has some of B.C.’s warmest temperatures, to boot. 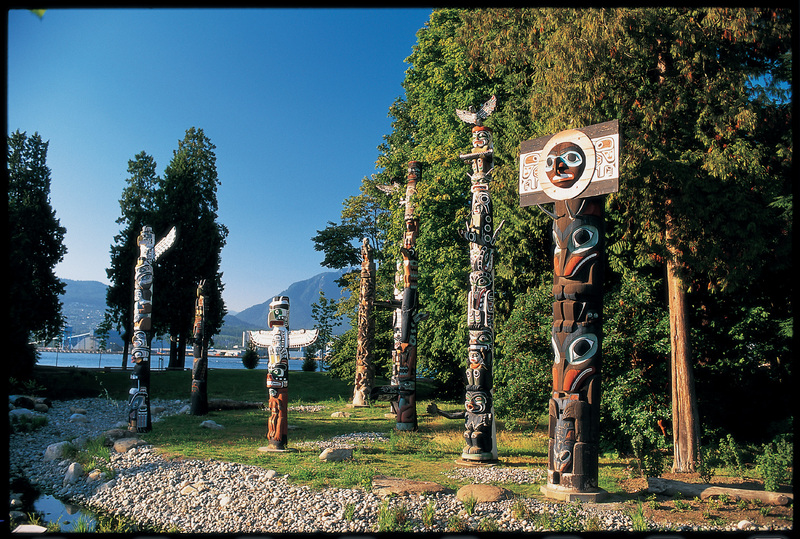 This massive park is home to everything from an aquarium to a lagoon, statues to totem poles. It is a serious slice of Canadiana. From Stanley Park, visitors can walk, bike, or rollerblade the Sea Wall that encompasses Downtown Vancouver and enjoy all of the beaches that line the route. At Halloween and Christmas, the Stanley Park train takes thousands of guests through a themed ride that delights children and adults alike. While we’ve lost some franchises over time (I never even got to a Grizzlies game in their short time here), the city still has a few offerings, including the beloved Vancouver Canucks (NHL), B.C. Lions (CFL), and Vancouver Whitecaps (MLS). We’re even getting a National Lacrosse League team back in 2014 and for fans of baseball, watching the Vancouver Canadians (an affiliate of the Toronto Blue Jays) at Nat Bailey Stadium makes for a memorable evening out. Home to B.C.’s parliament buildings and the capital of the province, Victoria is a 90-minute ferry ride over from the mainland, but it is well worth it. Victoria is the closest you can come in Canada to feeling like you’re in the U.K. (after all, it was named after Queen Victoria), with its afternoon tea service at the Empress Hotel, cathedrals, castles, and gardens. There are certainly other spots I’ve neglected and, of course, beauty can be found throughout the province. It’s all in the eye of the beholder. I tend to find beauty in the region’s best liquor stores, so to each their own! This is a strong martini, but that wasn’t a complete surprise. 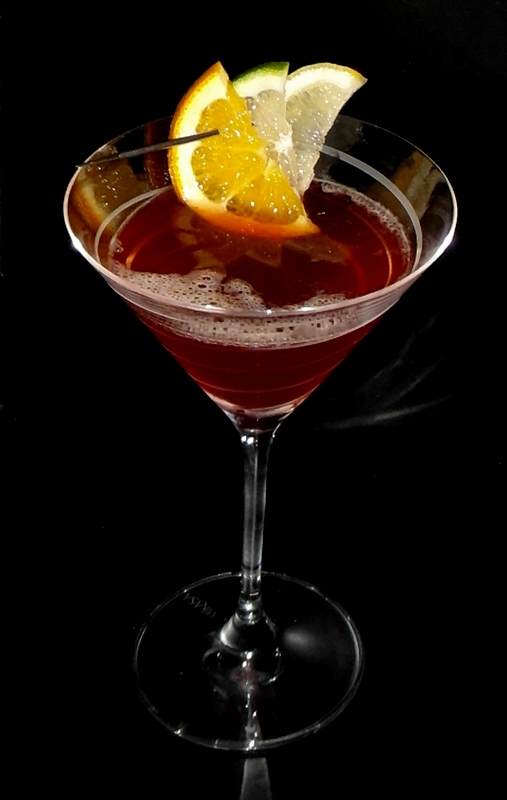 Campari leaves a bitter, lasting aftertaste that takes a little while to get used to and some may never enjoy it. This cocktail earns a barely passing grade because I liked the sweet touch that came through after the strong Appleton Rum, thanks to the Sweet Vermouth and Cointreau.